Back in June we noted that Sterling Town Equities had bought 186-90 21st Street (two-storey building & adjacent lot) for six million dollars. 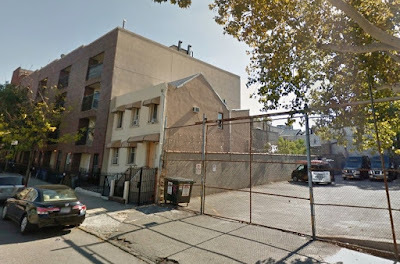 Now NY YIMBY reports that permits have been filed for a 26 unit, five storey-building at the site. 13 parking spaces will be included. Also a part of the development site, apparently, is the small, pitched-roof house at 196, which has not yet closed. You can read about 186 back in 1910 right here.